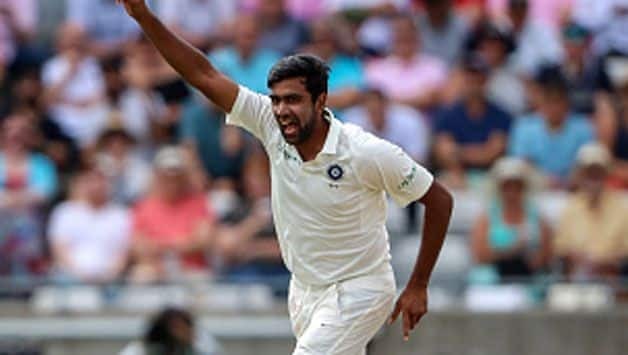 Former Pakistan offspinner Saqlain Mushtaq is impressed by how much Ravichandran Ashwin has grown in his stature as one of world’s premier spinners. 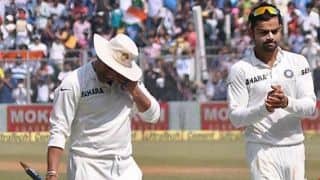 Saqlain, England cricket team’s spin consultant, spoke about the Indian offspinner’s disciplined bowling in the series and how Ashwin’s knack of adapting to overseas conditions separates him from the rest of the crop. “Today, he is a world-class spinner. I remember four or five years ago, I spoke that he is a good bowler but not yet a world-class bowler. Back then, I saw potential in him. But it was important for him to play outside India, perform and learn, and only then he would be a ready bowler,” Saqlain told PTI. Ashwin has been a winning element for India in their record at home but has lately honed skills while performing overseas. In the first Test against England at Edgbaston, Ashwin picked a match haul of seven wickets, getting experienced campaigner Alastair Cool clean bowled in identical fashion in both innings. In the second Test, Ashwin went wicketless but with the bat, top scored in both innings even as India were handed a severe beating by an innings and 59 runs. Last year, Ashwin had featured for Worcestershire last season, during which he scalped 20 wickets, including two five-wicket hauls, and played a vital part with the bat averaging 42. “When I talk to young spinners, I tell them they have to trap different batsmen in different ways. When Ashwin is bowling, you can see he has different plans for different batsmen, and he is working them out. For someone like me who lives in the world of spin, it is enthralling to watch,” Saqlain said. Saqlain blamed England’s sloppy ground fielding for their 203-run loss in the third Test. Surprisingly, it was India who had grassed quite a few chances in the first two Tests but showed a vast improvement in at Trent Bridge, with KL Rahul and Rishabh Pant recorded seven catches each. “Dropped catches are nothing new. When you take the field, that player who dropped a catch is still your teammate and buddy. While there is a sense of disappointment, there is no room for any ill will, because you have to eat, travel, stay and play together,” said Saqlain.